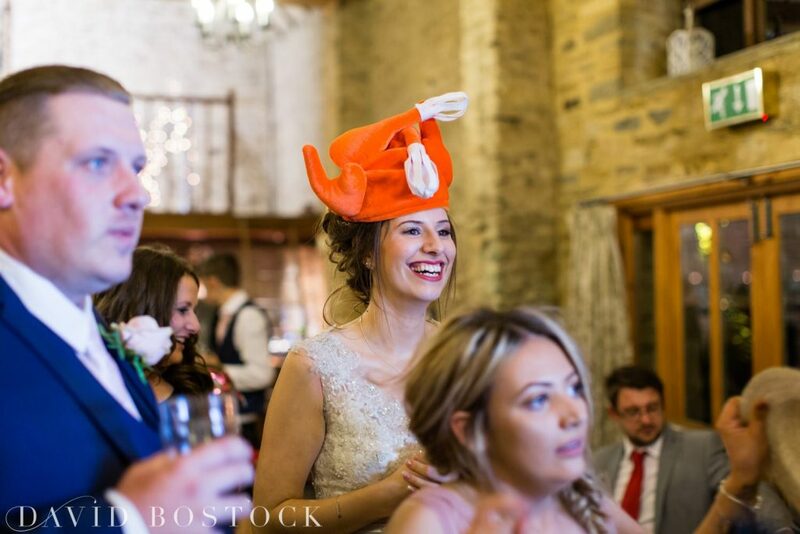 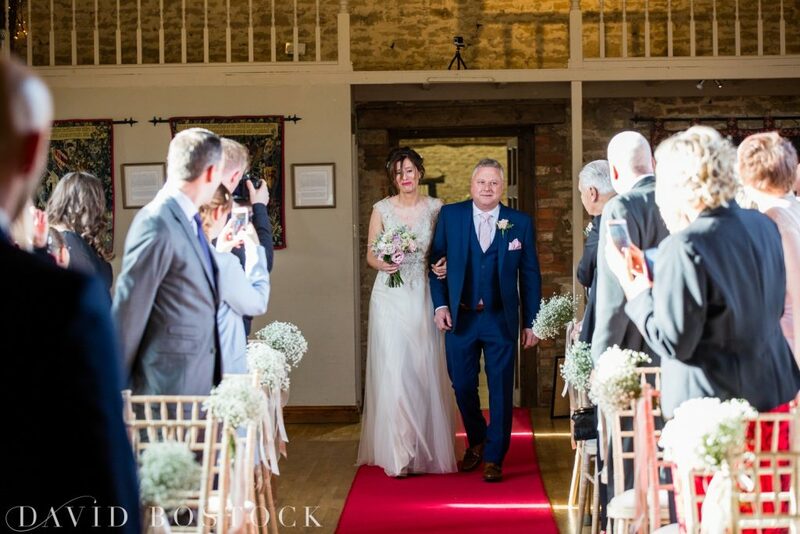 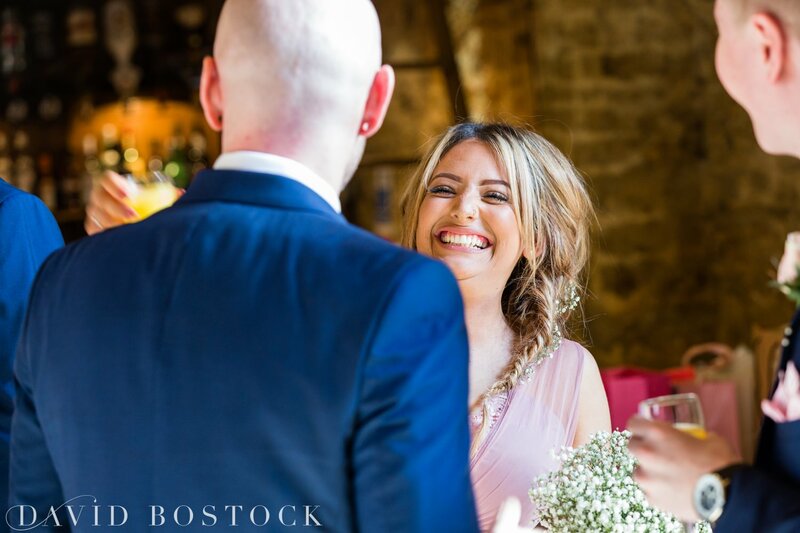 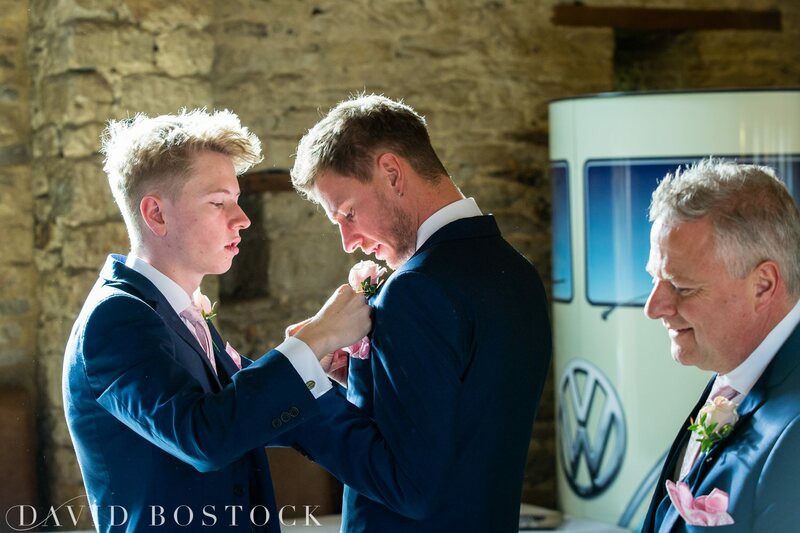 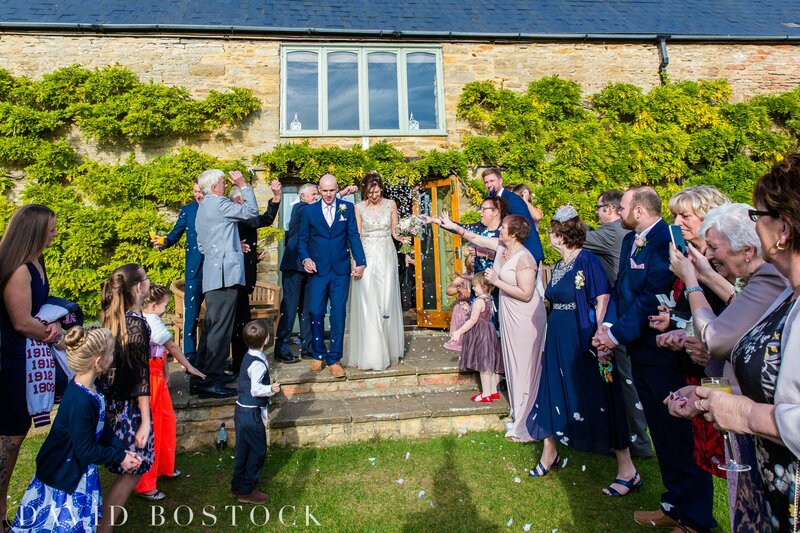 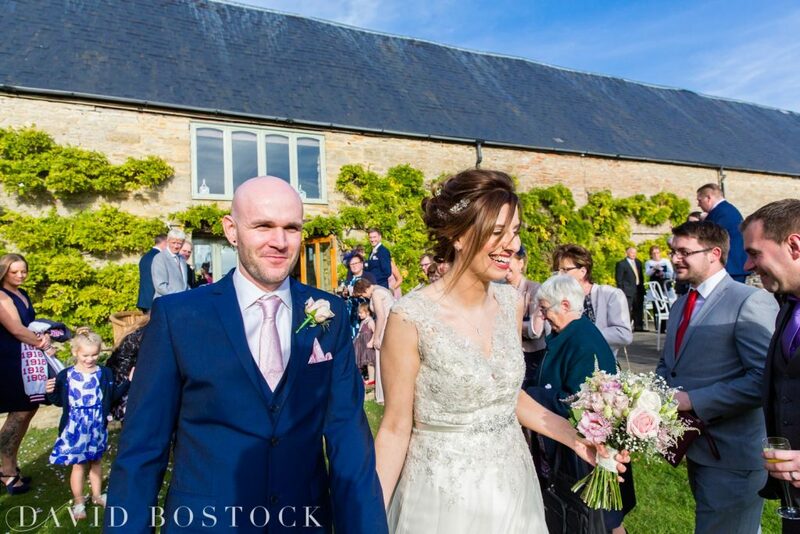 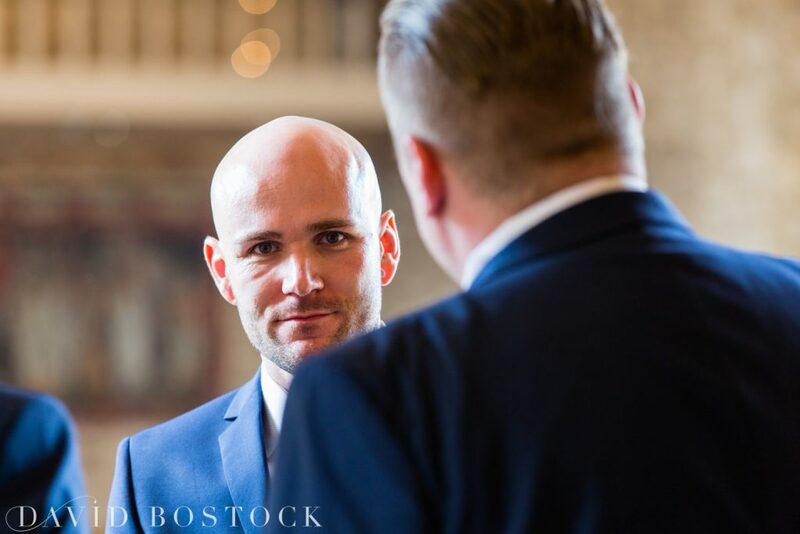 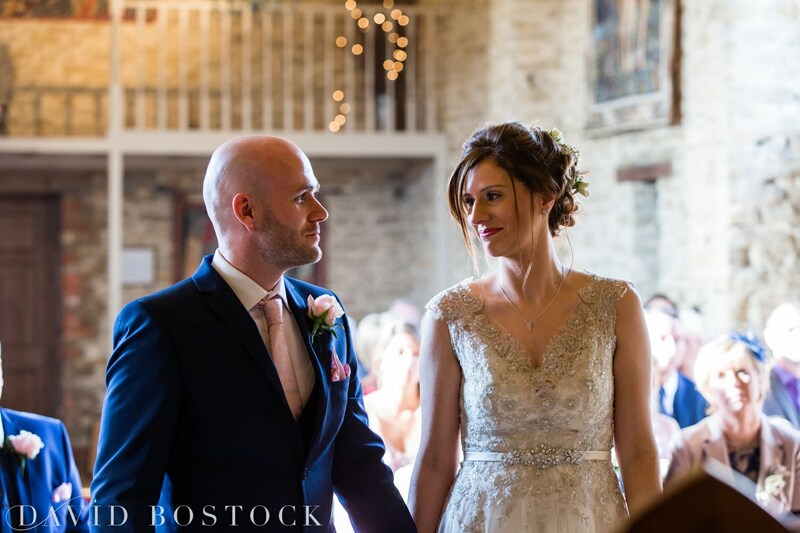 Emma and Craig opted for a gorgeous rustic autumnal early November wedding, think warm colours and falling leaves, you can check our their The Great Barn Aynho wedding photographs below. 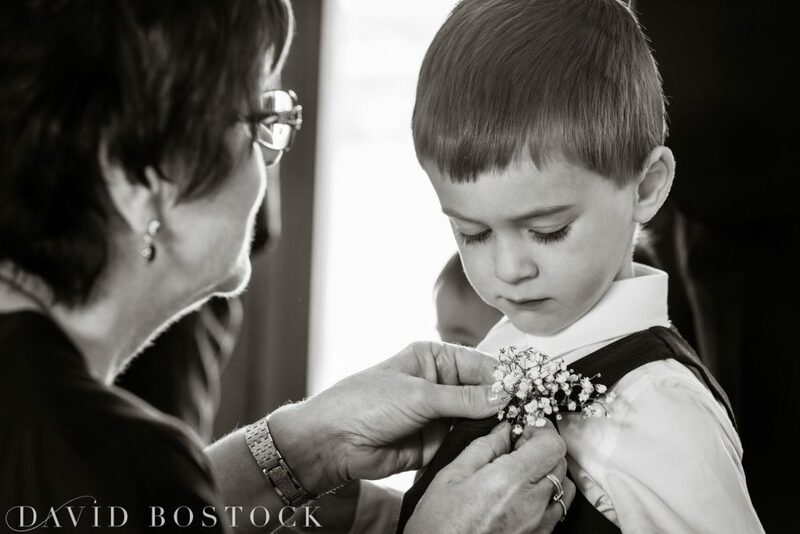 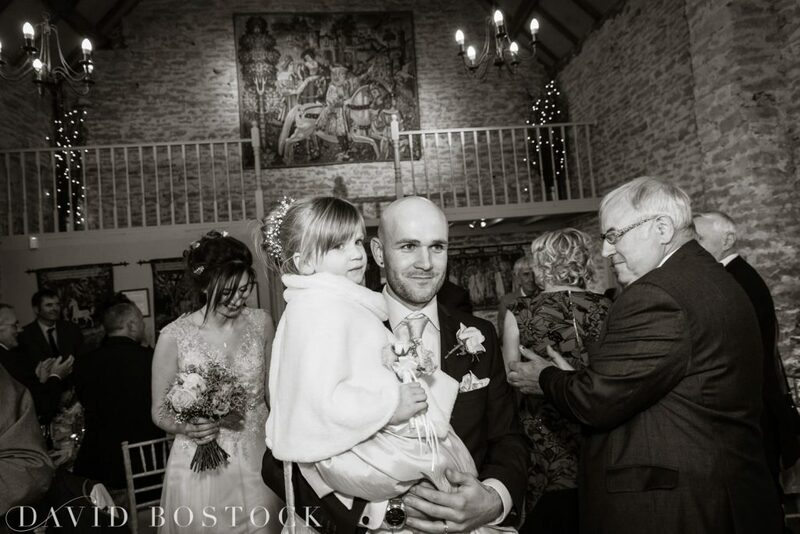 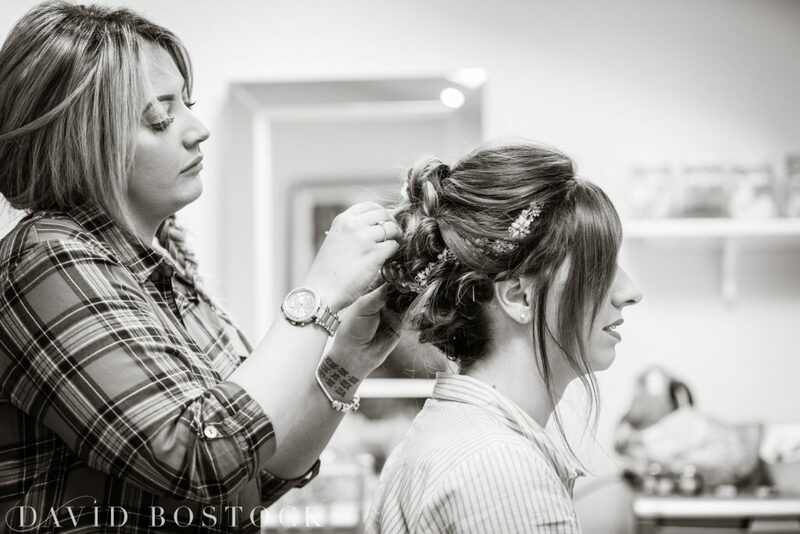 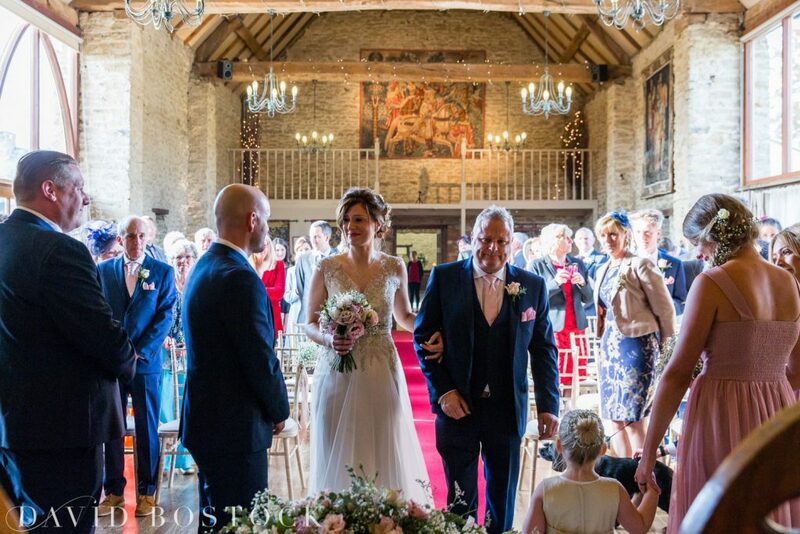 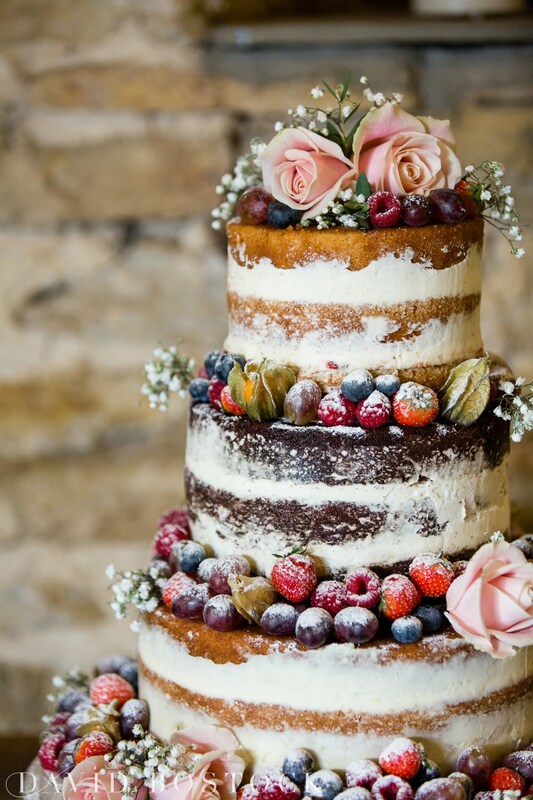 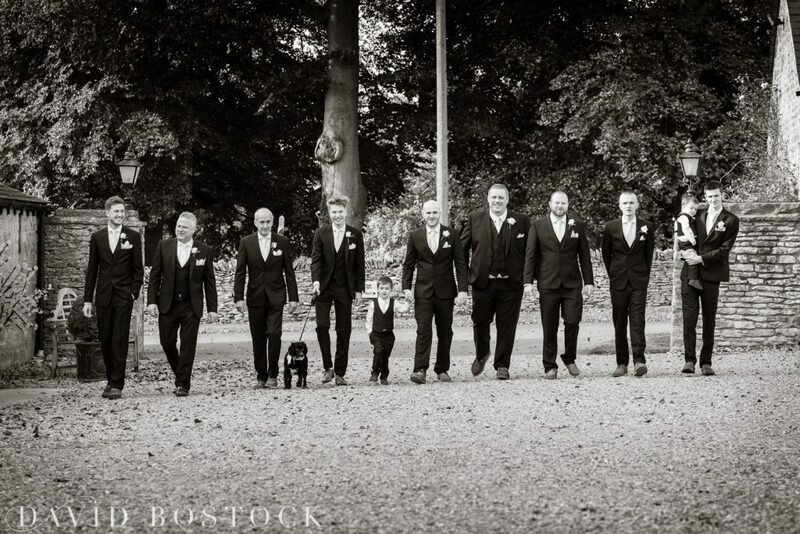 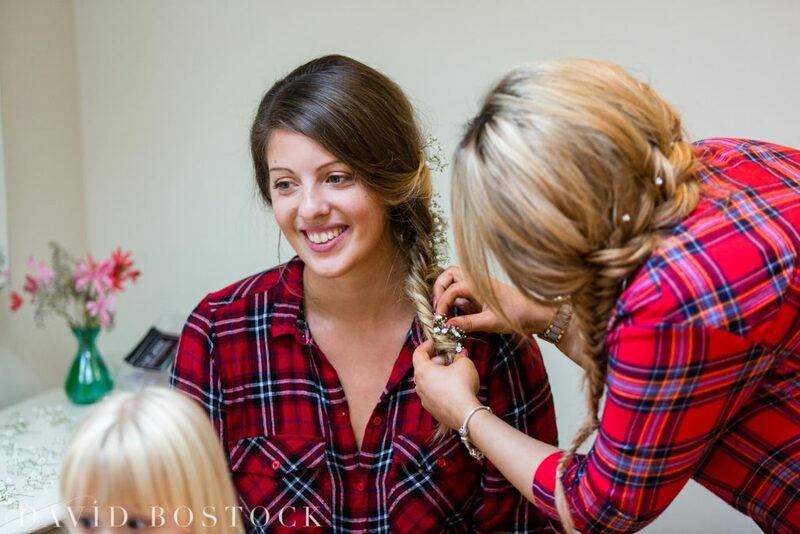 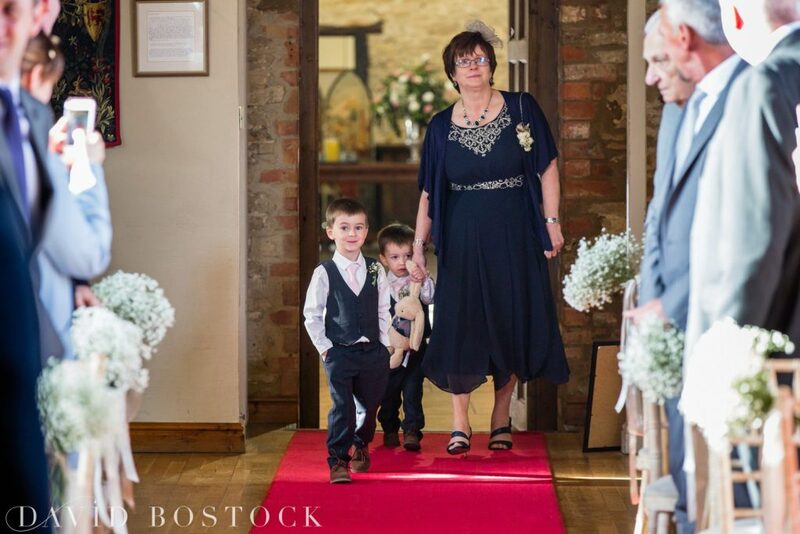 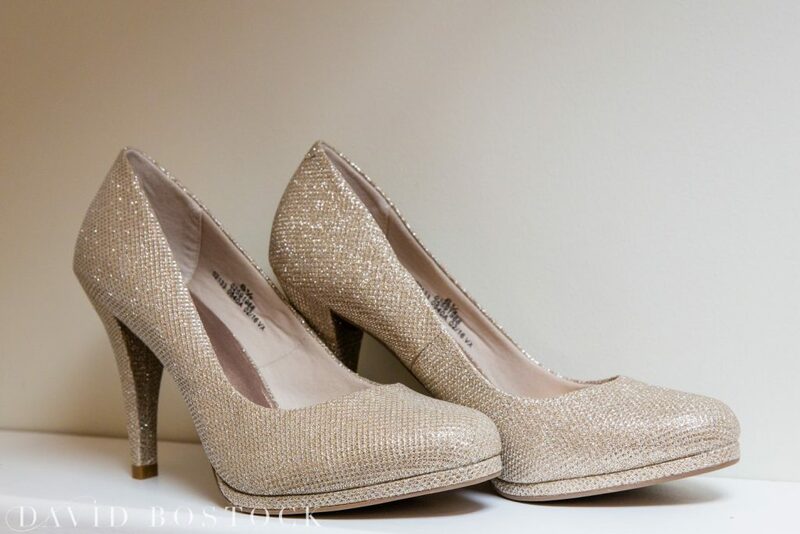 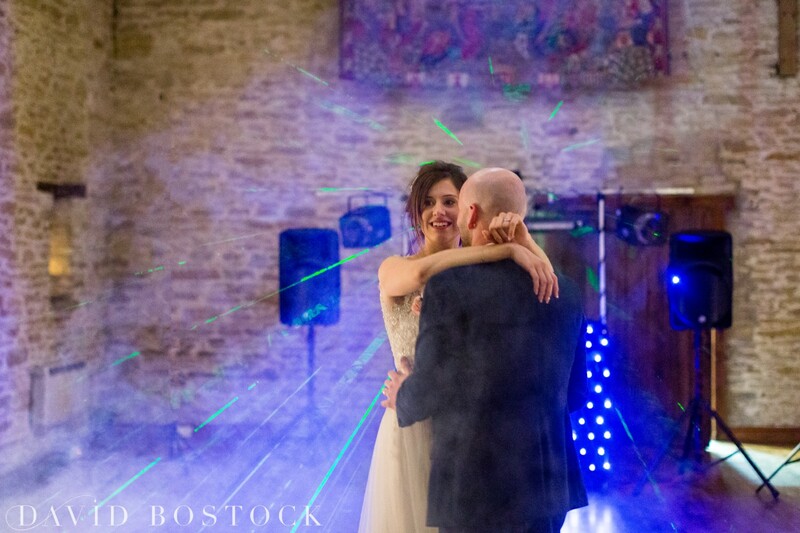 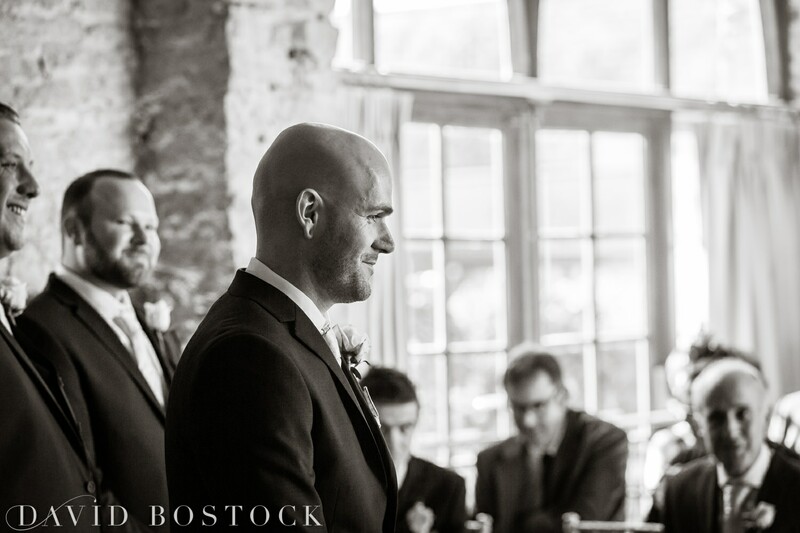 The Great Barn is a venue that is incredibly well suited to a lovely homespun rustic wedding. 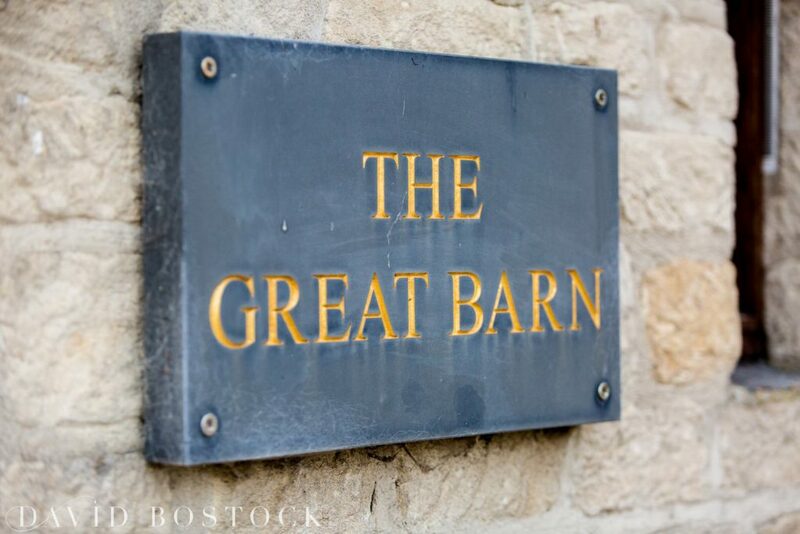 There are two barns on offer both sympathetically converted to retain many of their original charm. 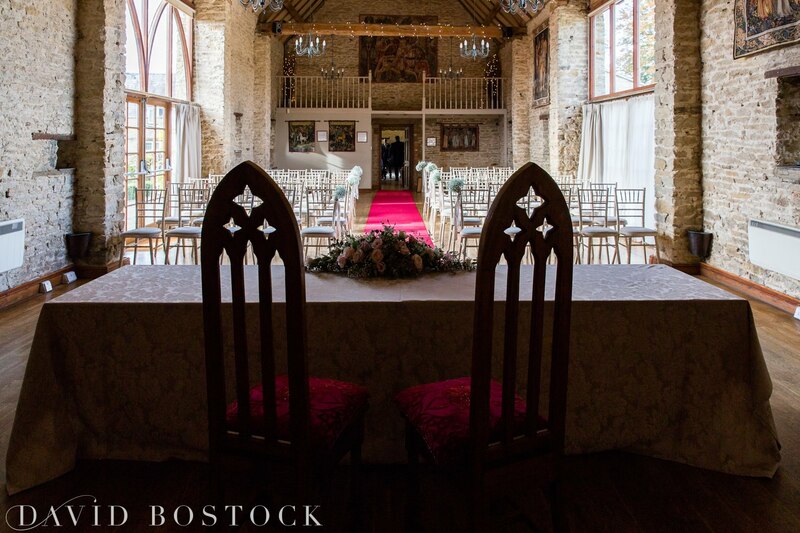 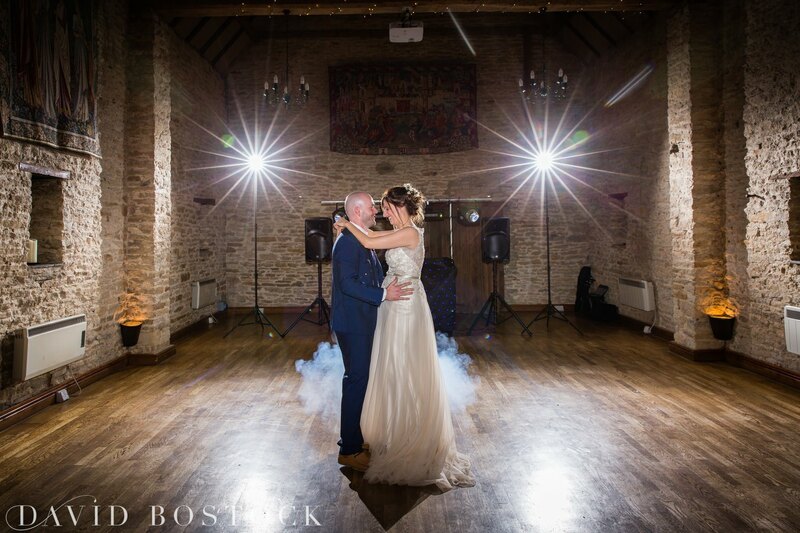 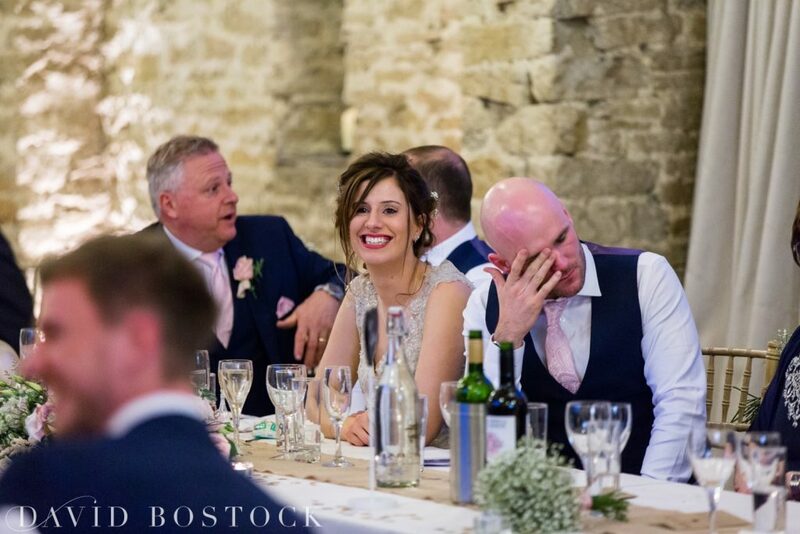 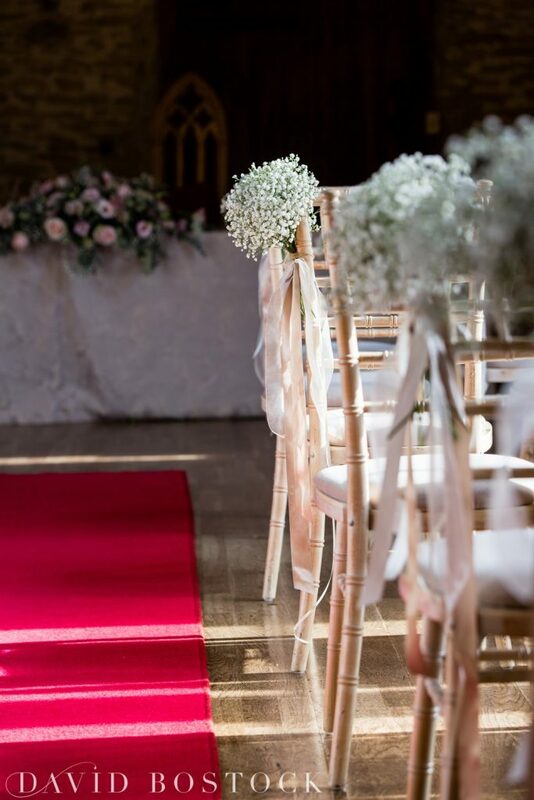 They are filled with rustic features including beautiful arrow slit windows, natural stone 2 foot thick walls, exposed beams, and making them even more perfect for an autumnal wedding as those evenings are drawing in, they boast two log fires! 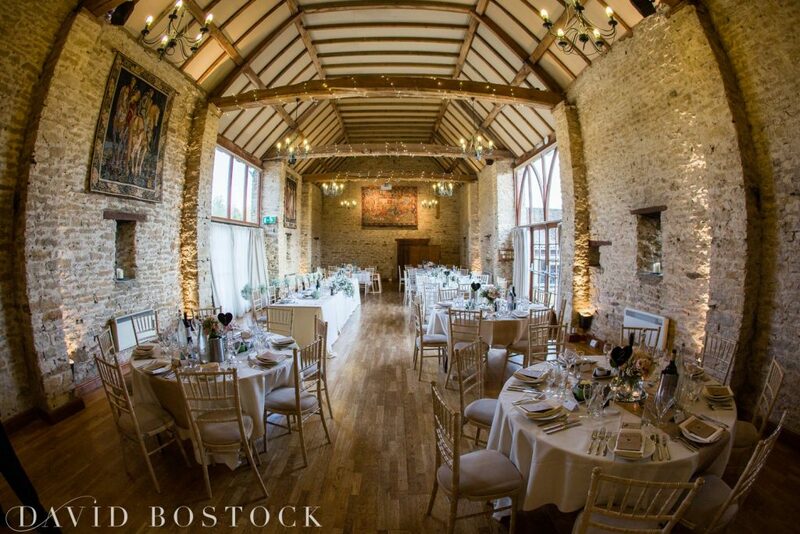 Decoration of The Great Barn includes historic tapestries, solid oak furniture with leather sofas and candles and it wouldn’t be a rustic wedding without fairy lights on the beams. 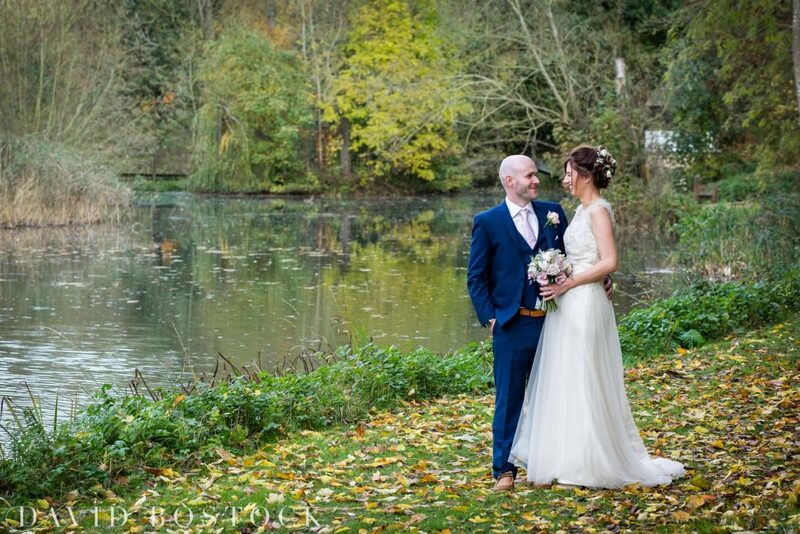 It’s usual for me to bundle the couple into my car during the couple photographs and to drive down to the secret trout lake where there are some stunning backdrops. 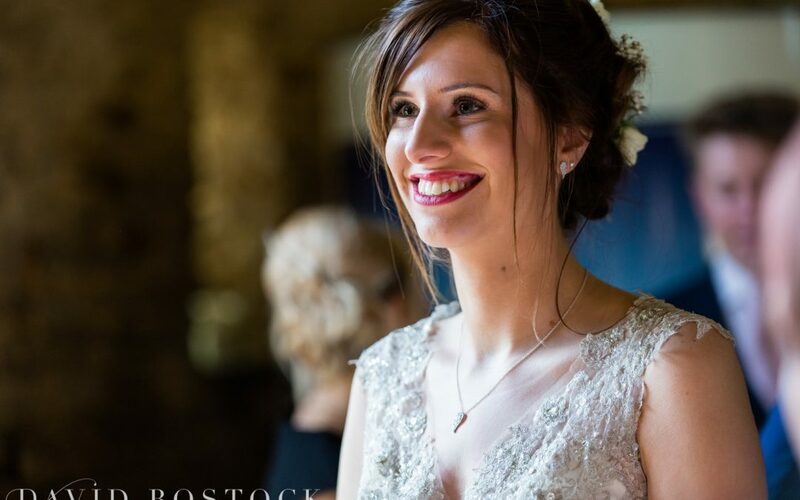 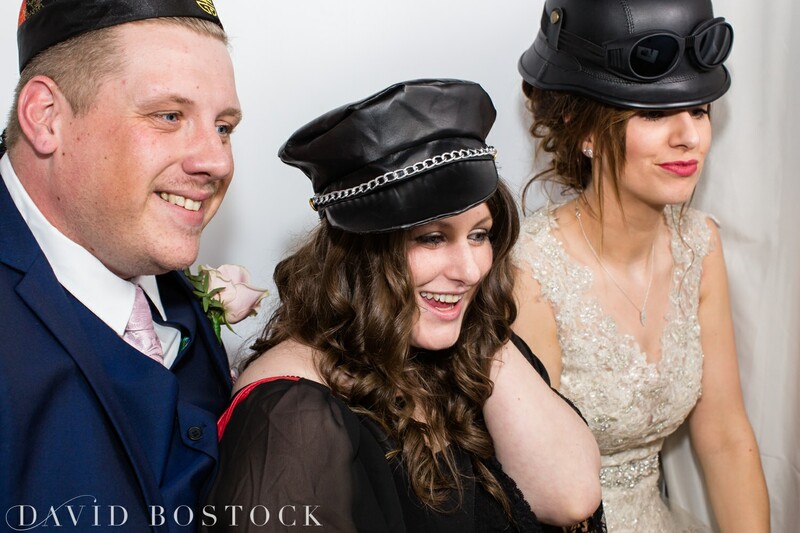 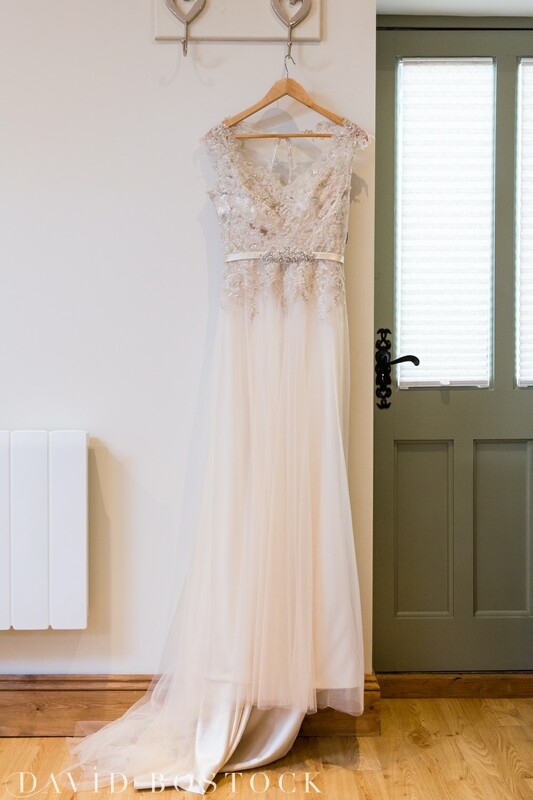 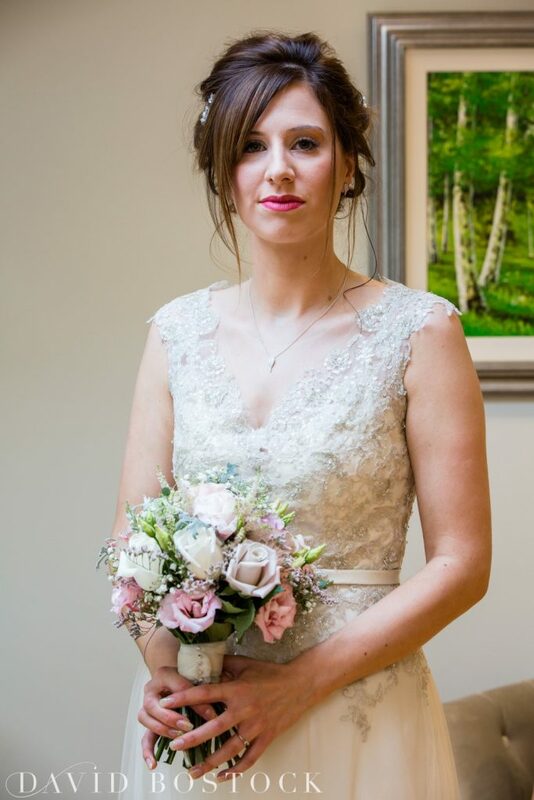 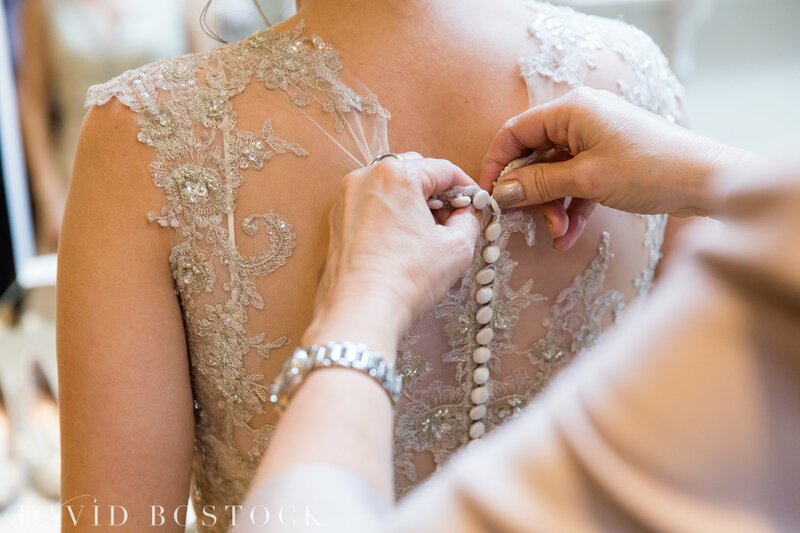 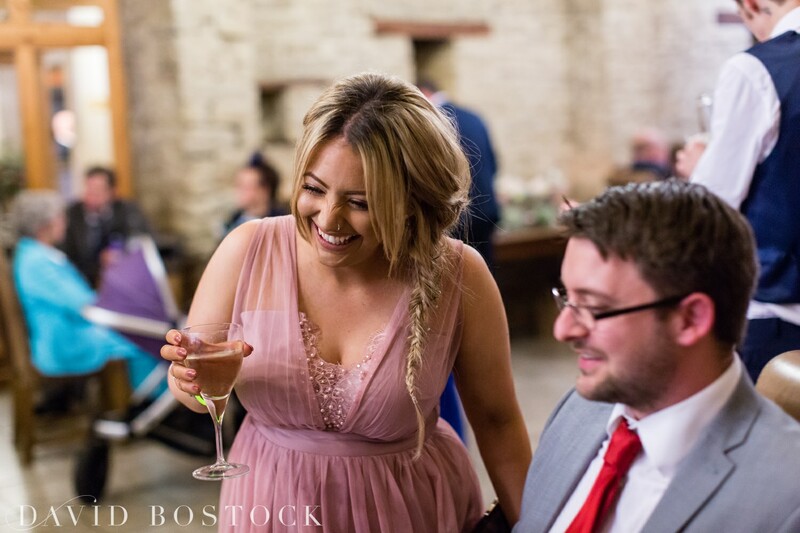 Emma wore a stunning A-line gown with fitted sparkling bodice, teamed with a romantic curled up do and a pink lip – oh and not forgetting a beaming smile! 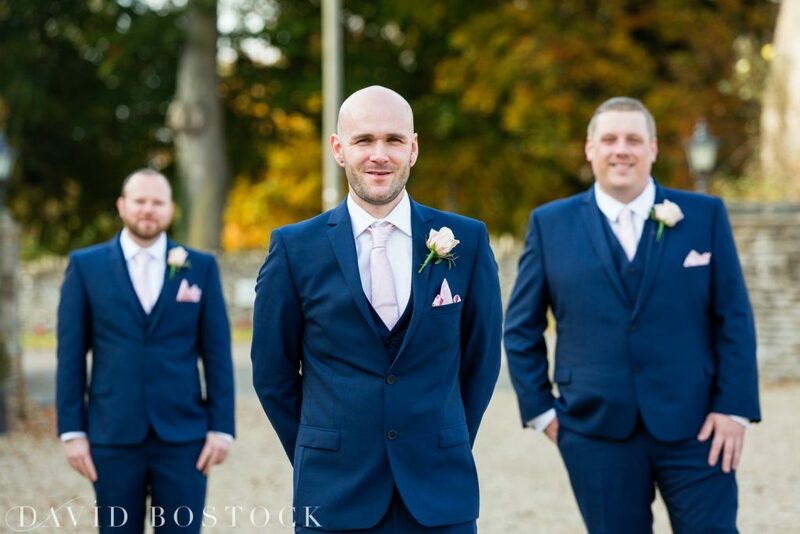 The gents wore navy suits and all looked very dapper. 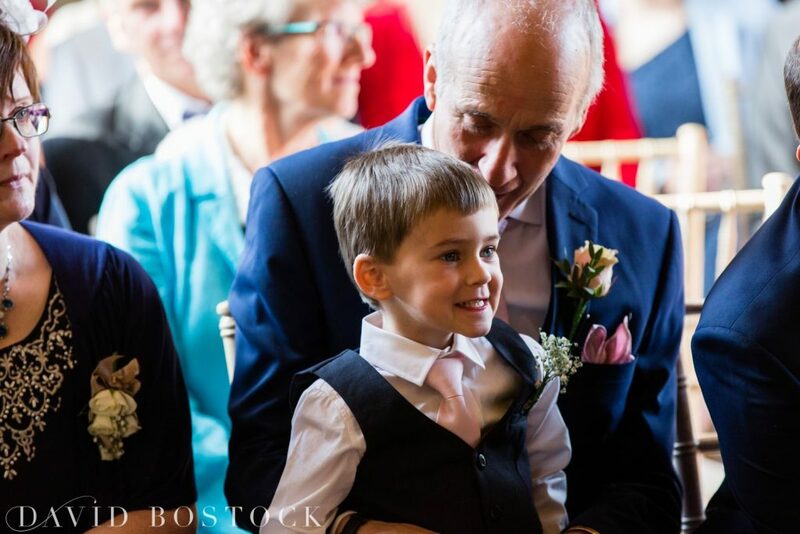 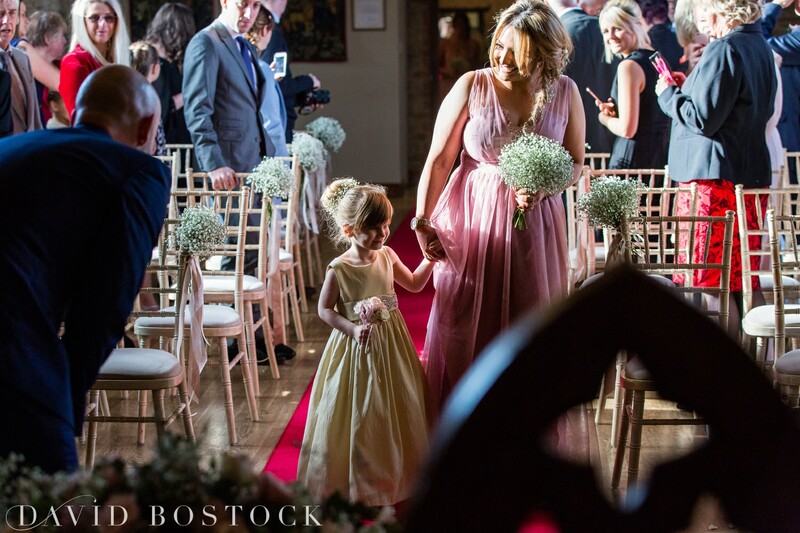 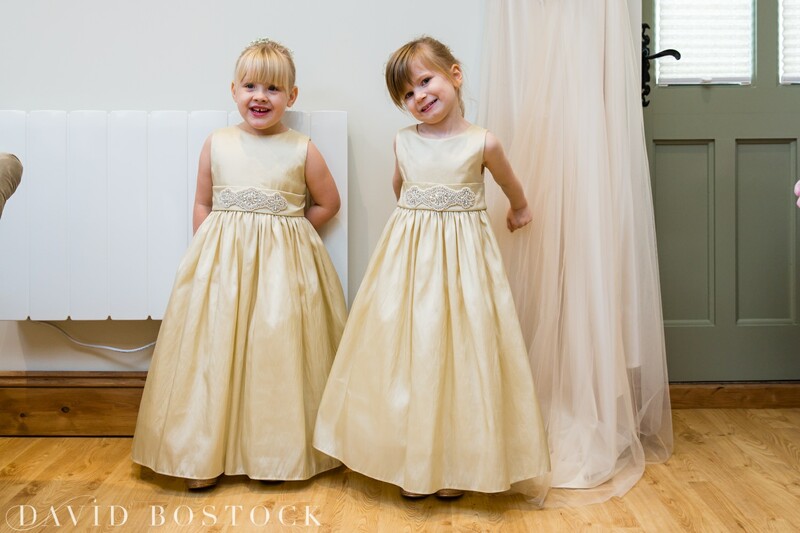 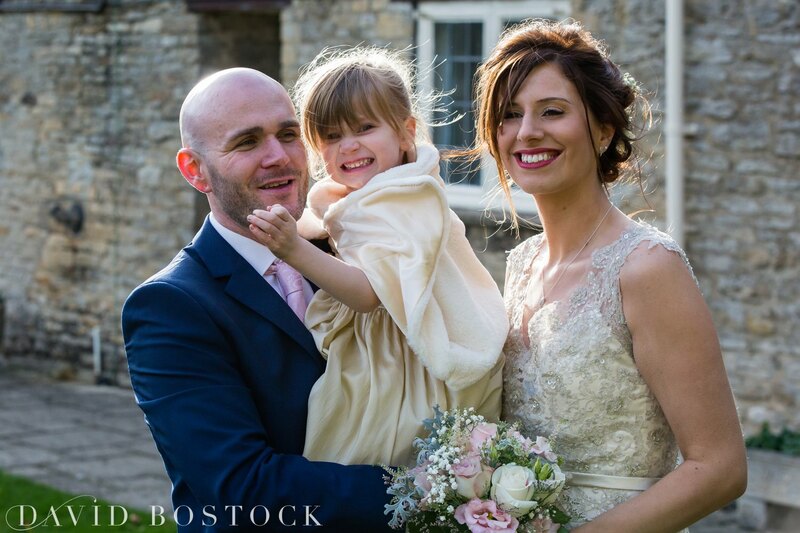 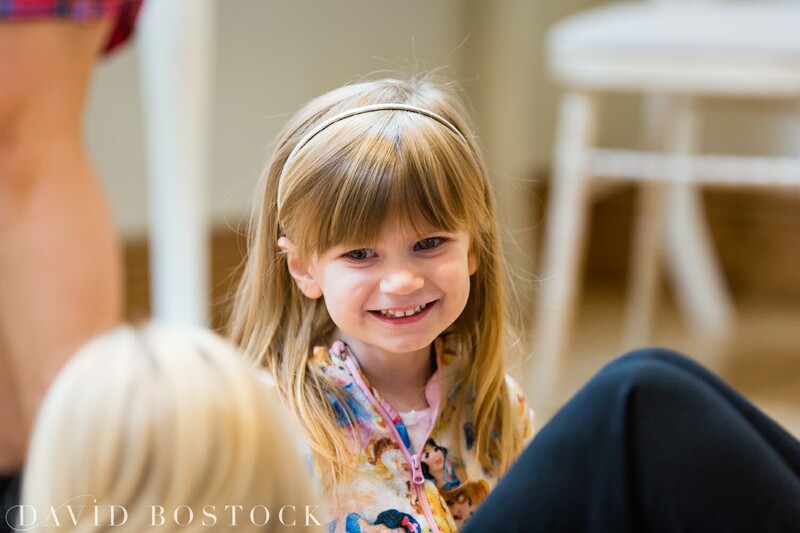 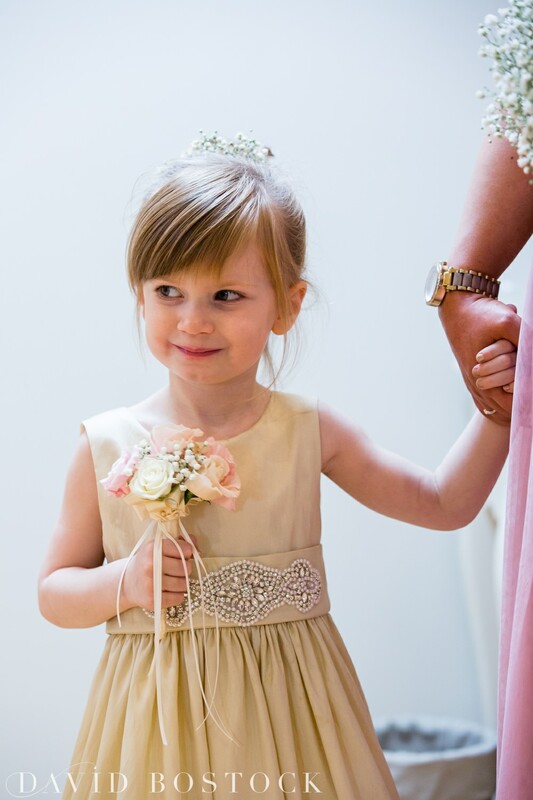 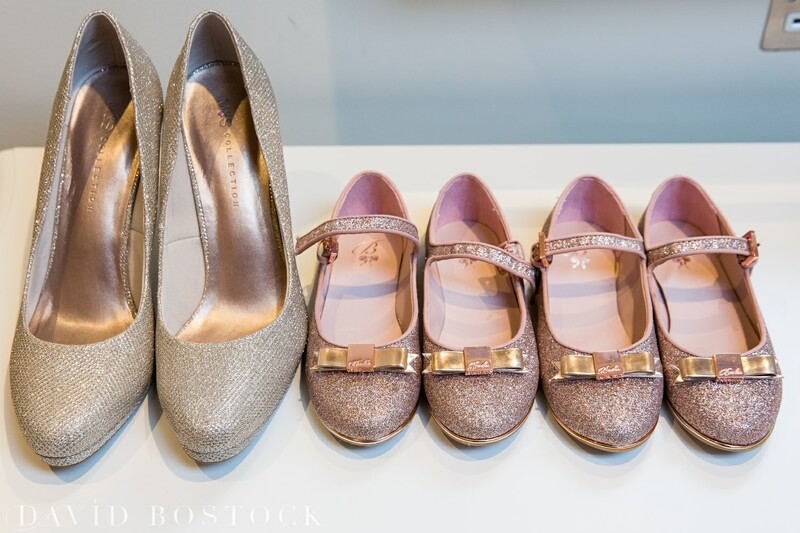 The couples beautiful daughter Isla was a stunning little flower girl, almost stealing the show in her gold dress and flower posy. 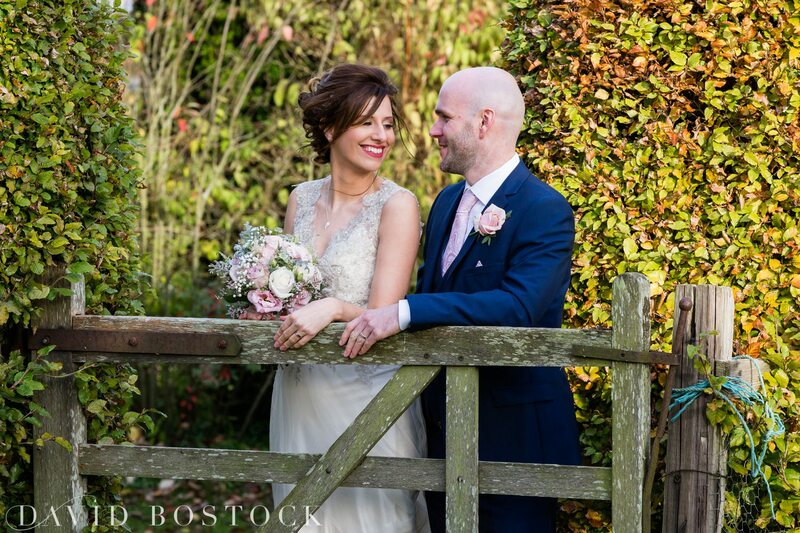 The fading autumn sun meant we had to get a wiggle on with the couple shots to ensure we captured the best of the light. 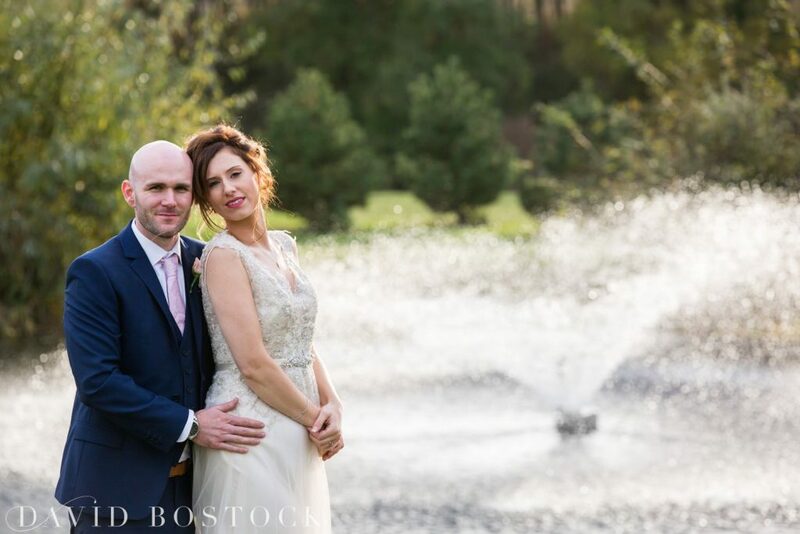 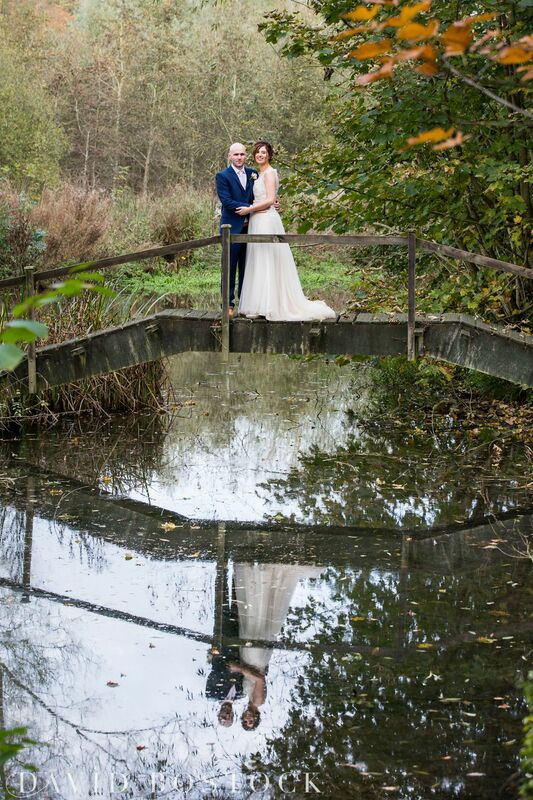 The change in the seasons is always a lovely time of year to shoot, and the fallen leaves and bronzing trees at The Great Barn really did create beautiful backdrops and reflections for Emma and Craig’s photos. 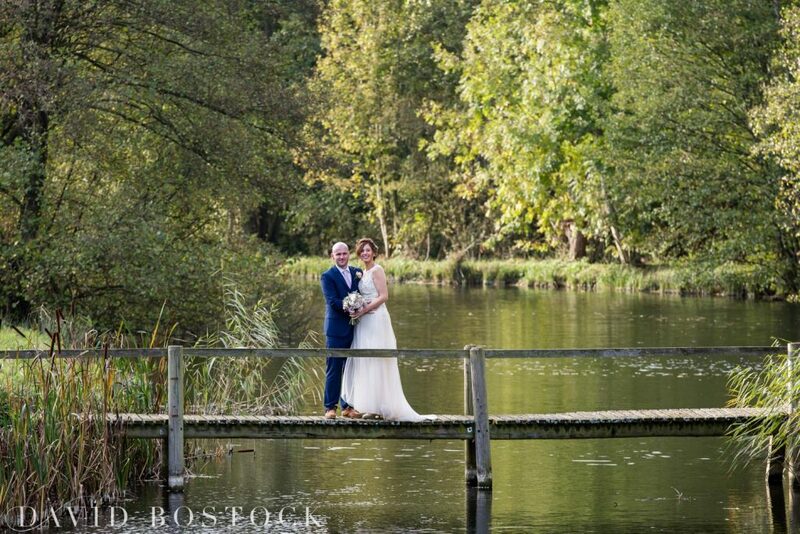 I particularly love the images we captured on the bridges over the lake. 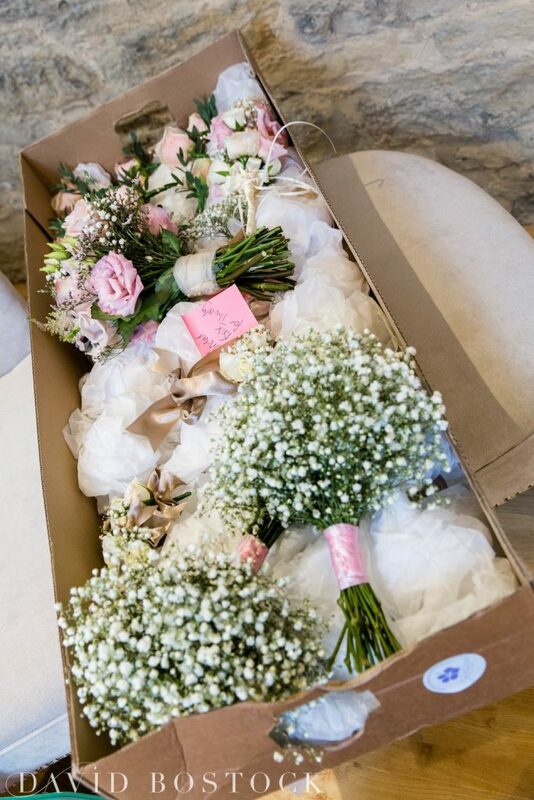 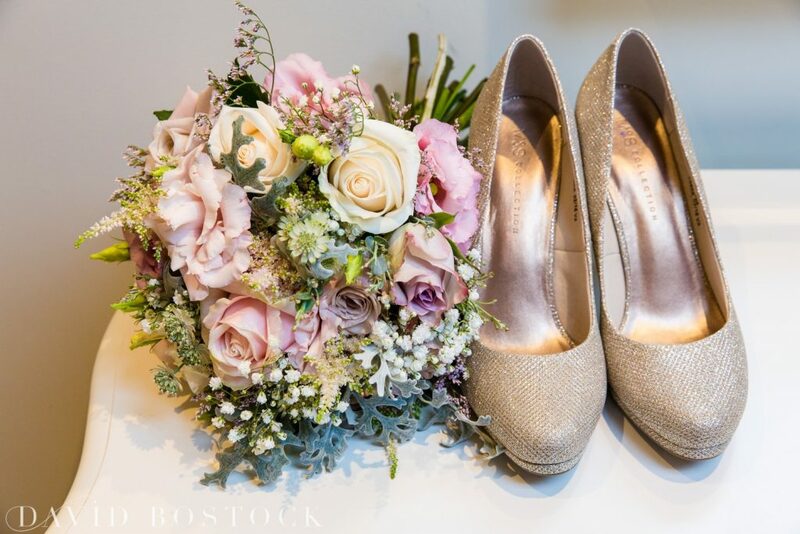 Flowers included antique pink roses and gypsophila to match the bridesmaids dressed. 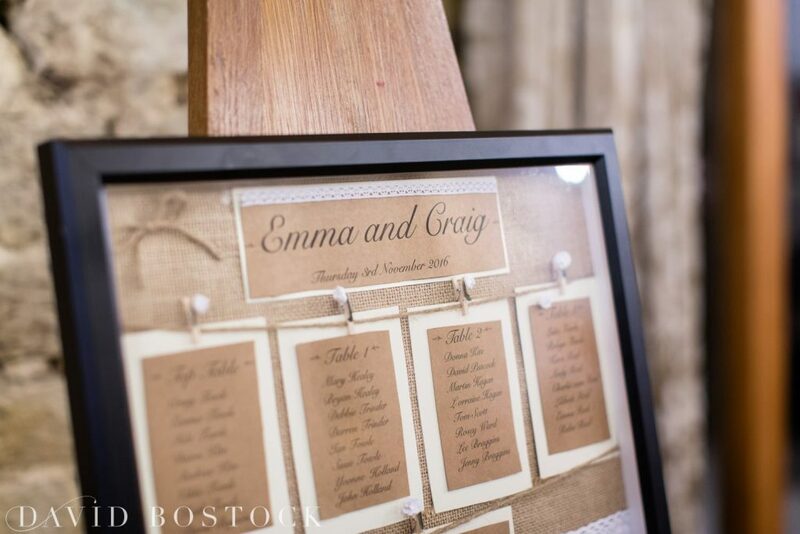 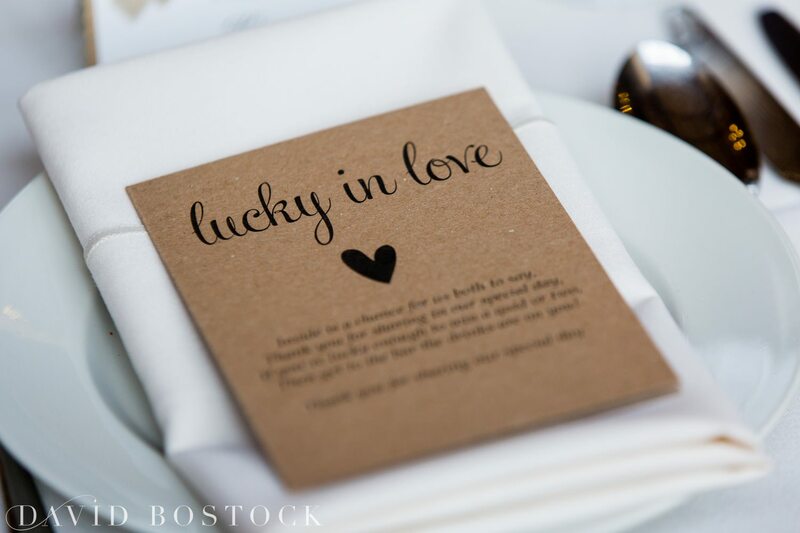 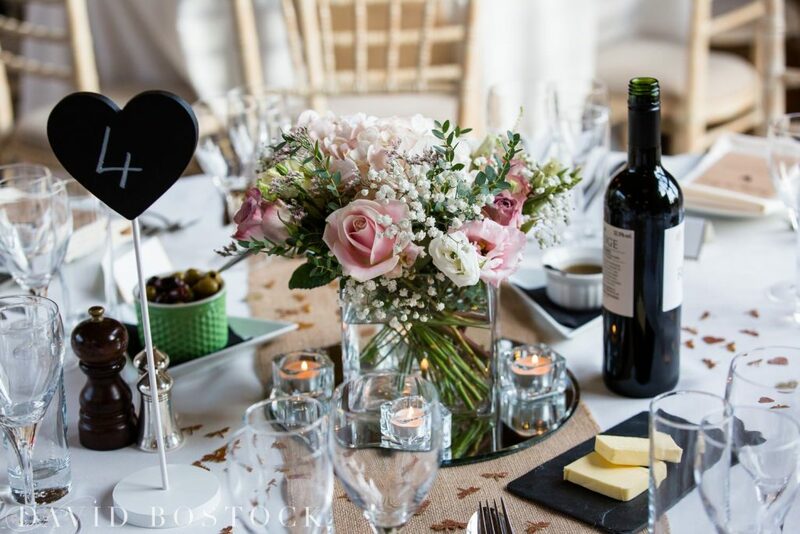 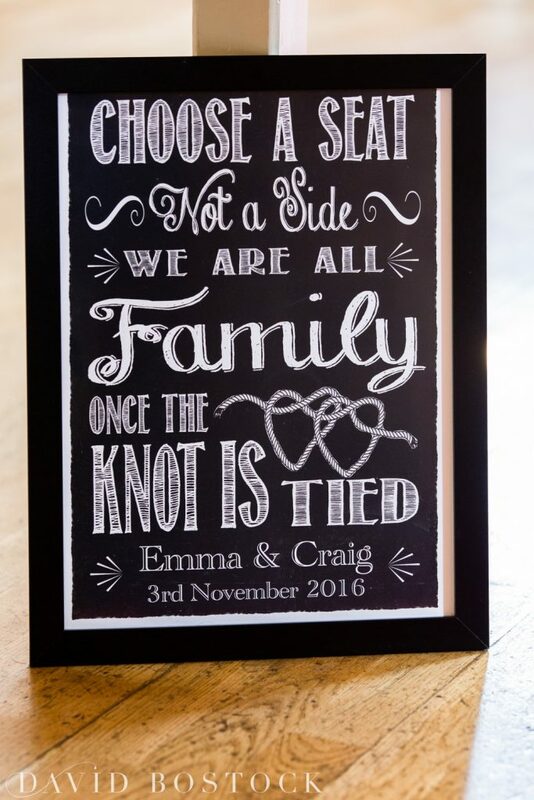 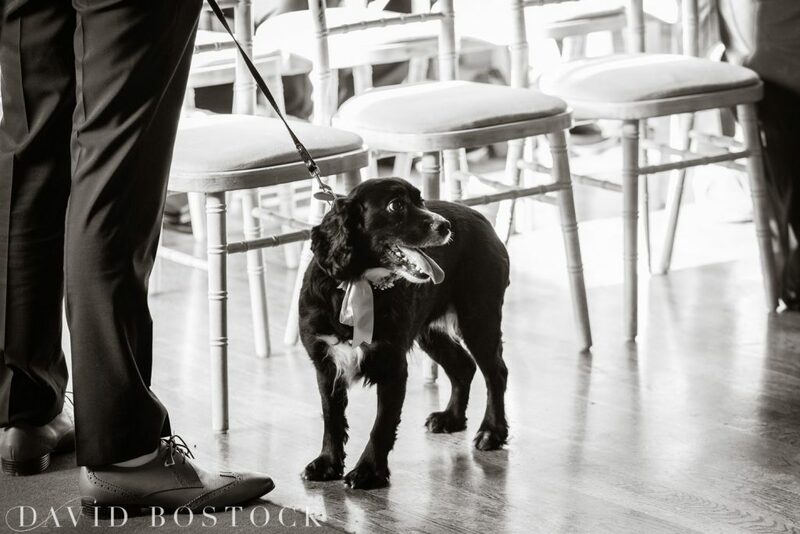 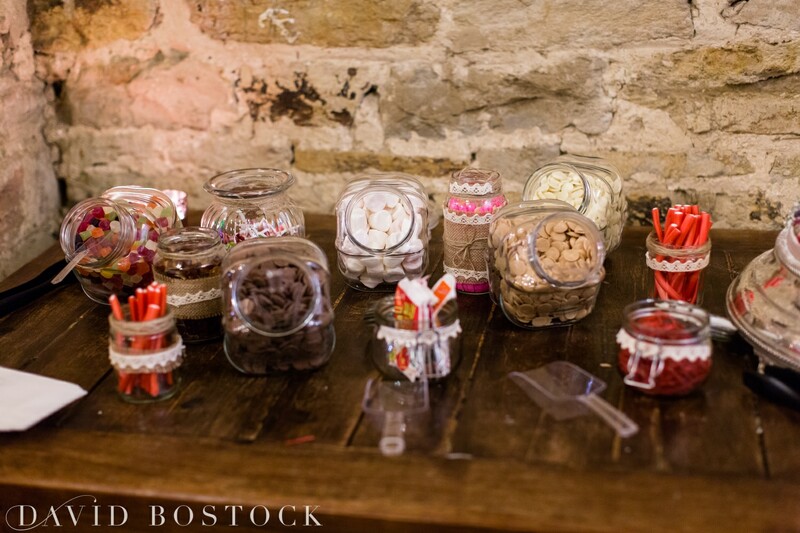 Other rustic homemade details really did suite the venue including a hessian seating plan, and sweetie bar – a favourite with guests (old and young alike) at any wedding!